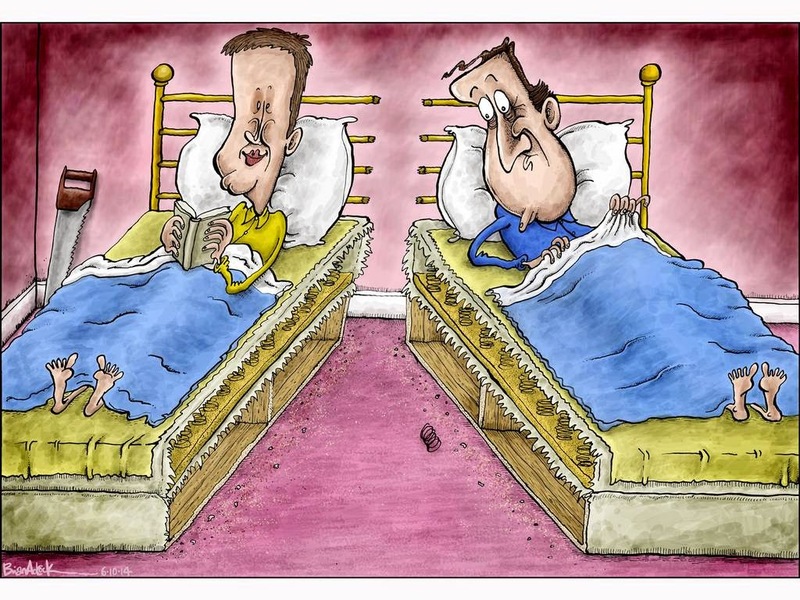 Been awhile since we've had a HILARIOUS cartoon imagining David Cameron and Nick Clegg as a gay couple, so here's a badly drawn one from The Independent. But what is Cameron looking under the covers at and what is that on the floor? That's one of the worst cartoons I've ever seen.